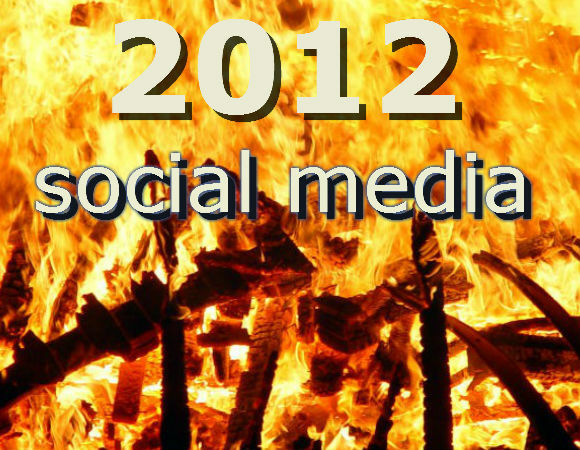 2011 is on the verge of saying goodbye, so I thought about what has gone by in the social media space and what to look forward to in 2012. Personally I look in my past for lessons to learn so thought of approaching someone who breathes social media engagement. 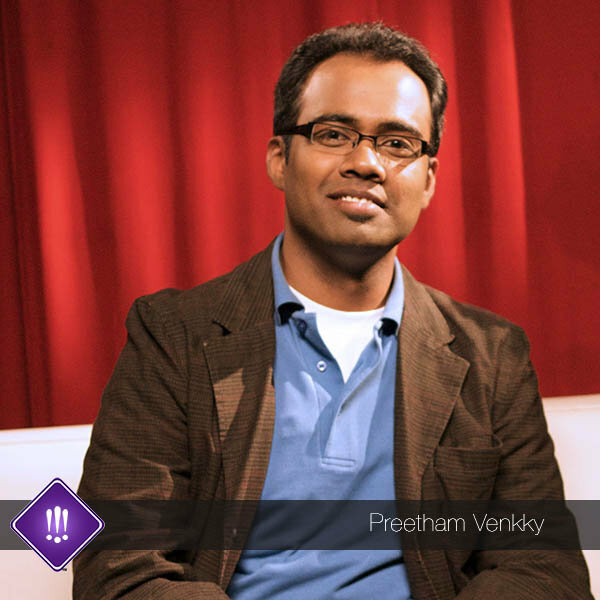 It had to be Preetham Venkky, Asia Head, KRDS whom I consider as one of the thought leaders in the Indian social media space. 1. Mobile and Social: 2012 will be a year of mobile and social and more companies would be spear heading the motion of developing mobile applications. This initiative will help brands to drive more engagement when compared to web social media. Today when we access social media on the web, there is too much of distraction but mobile applications will kill this problem and lead to higher levels of engagement. Titan Exchange was a path breaking innovation in 2011 but in 2012 it will be standard. To make mobile and social successful in 2012, Android devices especially the Rs.5000/- Micromax phone market will provide the bigger push. 2. Integrated Approach to Social Media: 2012 will be a year where we will see an integrated approach to social media. Brands won’t hire different agencies while working on a 360-degree campaign. The trend will be that they would prefer an agency that has the expertise of all traditional and social media. 3. Facebook: 2012 Facebook will enter search. Our search will be driven by social and in a more contextual manner. It will be exciting to see Facebook enter this space that is rightly placed to be the early movers. 4. Twitter: Till now Twitter has been criticized for its revenue model but Twitter will have an answer for all of them. Twitter will have a successful self shelved ad platform and which will be useful. Twitter has been an information medium and brands like it. Saying that Twitter will also challenge the brands to innovate and build stories within 140 characters. This will provide a great medium for SMEs to come forward and play with the 140 words. Ads won’t be just brand messages but they will have to be content in order to connect with followers. 5. LinkedIn: LinkedIn will have a steady growth in IPO but it will open up more. We will see LinkedIn being integrated on B2B websites by corporate for better engagement. This move will make corporates to be more open and you would know whom are you talking with. For example, you may find profiles of leading sales employees with their LinkedIn profile details embedded on the website. So forget those boring contact forms and get ready to be more real and social in 2012. 6. Social Commerce: 2012 will mark the year of social commerce and local players such as Flipkart, etc. will lead the race. The market will heat up with global players joining the race but local players will still shine. Global players like Amazon may have inventory but they will lack in the know how of the Indian business and customers. We will also see more of vertical expansions by different ecommerce sites and holding on to their forte. We are seeing them now only with ‘Fashion and You’ holding one of the fortes which we are going to see more of in 2012. 7. Foursquare: The only thing where I am bearish in 2012 is with Foursquare and location based marketing. Foursquare will have a depressed growth from here on if it does not innovate. You can’t survive long on the game mechanics and continuous reward system. Apart from this, Foursquare is a location based network but it has a location problem. Cafe Coffee Day and Foursquare did start well in India but it never innovated from the mere 20 percent discount. There was no actual effectiveness for a user and the brand. What they could have done is appoint a Foursquare evangelist in India or opened up an office in India and then scale it up. It has been a success only in US but that is also now being challenged. So for me Foursquare is not a global phenomena but a local one. In fact Indian players such as MojoStreet are going through the same phase so I am bearish about them. Thanks Preetham and you have given words to my thoughts. Personally, I feel that Facebook will dominate search and going forward activities will be driven on social grounds. Mobile and social will be another dominating factor going ahead in India as the maximum number of Indians browse Internet and access social media sites via mobile. Non metros who are driving the Internet madness in India will be a market that brands will have to address aggressively. I have always believed that LinkedIn will have to open up a bit although I know of people who have debated that it should be a professional network. Well I want to debate that even professionals are social beings at the end of the day. So as Preetham said, LinkedIn stands no choice other than to open up. Flipkart has created the benchmark and I feel that there would be a gradual transformation of ecommerce sites to social commerce. However brands will have to create higher levels of engagement and only creating vanilla Facebook pages won’t help them. Location based marketing doesn’t have any incentive other than just the fun part which I think is not enough for it to survive long. Apps like Instagram are taking it further and making survival stiff for Foursquare. Along with the above trends shared by Preetham, one trend that I visualize is that people would move towards niche and like minded forums. Social networking sites are really cluttered today so I wouldn’t be surprised if we find a lot of forums sprouting. The trend has already been catching up with Pluggd.in and Social Media Examiner launching their individual forums for startups and social media respectively. That’s our list of social media trends for 2012. What is the trend that you visualize will mark 2012?